...and his Wright-hand of Saru- man! Major H/T to Vincenzo - thanks for the early-morning crack-up!!! Quote from 'Return of The King', just after the orcs took control of Osgiliath. 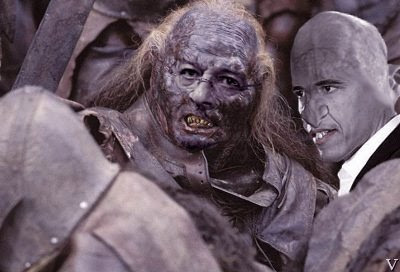 Orc leader: "The Age of Men is over. The Age of Orcbama has begun!" Let's make sure that doesn't happnen!